Volunteering is one of the many ways in which the local community is encouraged to engage with their local area and become actively involved in the work of the English Riviera Geopark. 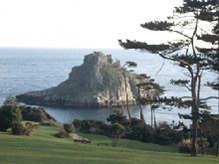 Whether you've got a bit of free time and want to learn more about Torbay's amazing geology, or if you just want to add something to your C.V., the English Riviera Geopark offers a wide range of volunteer opportunities the majority of which with Torbay Coast and Countryside Trust who manage the majority of the Geoaprk sites. Volunteering is a great way to discover more about your local area, meet like-minded people and enjoy the great outdoors. You will have the opportunity to work with local school groups, help with public events and visit our internationally important geological sites as well as learning valuable new skills. So, if you're enthusiastic and interested in protecting & promoting your local environment, why not join us as a volunteer? Assisting with educational visits and public events. Interpretation to the public or young people. Of course, other activities and ideas will also be considered, so if you have something particular in mind that you would like to help with, please tell us about it! Work experience placements - If you're over the age of 16 and interested in pursuing a career in the environmental sector, the English Riviera Geopark could be the ideal place to start. You'll learn valuable skills through a range of different experiences to prepare you for future job opportunities. Young Ambassadors - If you care about what happens in your local environment and want to be actively involved with the Geopark, then join our Young Ambassadors group! This is a group exclusively for young people aged between 15 -18 to allow you the opportunity to voice your opinions and get involved with new and exciting projects. Skilled volunteers- If you've trained in a particular field or developed specific skills that you feel could benefit the progression of the Geopark, we would love to hear from you.